This toy-bearing gent is more St. Nicholas than Santa Claus. Influenced by the artist’s Saxon* roots, this illustration depicts a St. Nick clad in heavy black boots and a long, hooded red robe tromping through the snow, his waist-length beard catching the wind. A mittened left hand clasps the fir tree which is big enough that it must stand on the floor in some fortunate home! 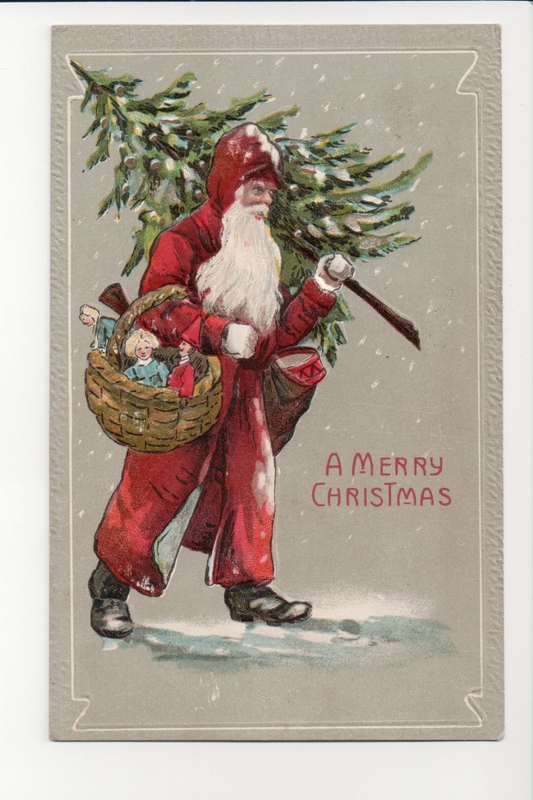 Under its branches St. Nick will leave dolls and drums pulled from his basket and sack. Carl Corbly Minor extended his sledding invitation to his five year old cousin, Donald Minor, in December of 1907. 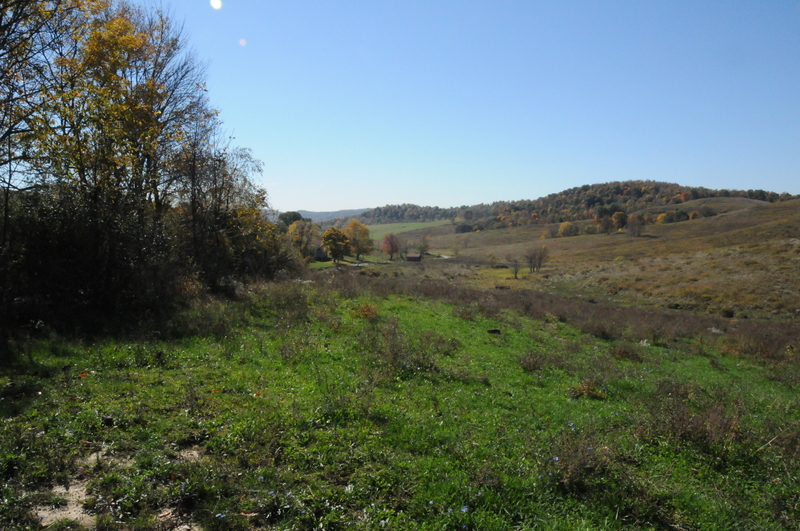 The 28 year old son of Alfred (1859-1886) and Anna Minor lived down the road from Robert, May, Helen and Donald, running his family’s farm with his mother and younger brother, Frank M. Imagine these rolling hills of southwestern Pennsylvania covered with a good snowfall. I am certain Donald had a fast trip down! *Saxony is a southeastern state of current day Germany and is home to Dresden, Leipzig and Seiffen. It is also the home of many Christmas customs, like the Christmas tree. Next Article Sing A Song for Christmas!